The Rivers State Government has denied reports that the Sokoto State Governor, Aminu Tambuwal, defected from the All Progressives Congress (APC) to the Peoples Democratic Party (PDP), because the Rivers Governor, Nyesom Wike, had promised him a presidential ticket. 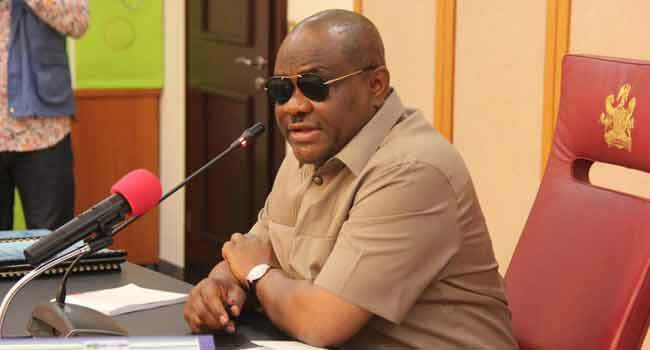 In a statement issued in Port Harcourt on Monday, the State Commissioner of Information and Communications, Emma Okah, said the comments were false and rather unfair to the governor. He also stated that, “Governor Wike has not discussed the political ambition of Governor Tambuwal with Senator Tinubu anyway and so Senator Tinubu cannot rely on mere rumours to speak unfairly about the Governor in the way he did”. Okah added that Tambuwal is a mature adult who has the capacity to take critical political decisions for himself without any prompting from Governor Wike. “When as Speaker of House of Representatives, Governor Tambuwal defected from the ruling PDP to the APC, why did Senator Tinubu not say that Gov Wike had a hand in it at that time or is it because it favoured Senator Tinubu’s APC?, Okah questioned. He, therefore, urged elders to be careful of their utterances at times like these.